As some of you may know, this year we got ourselves a 15" MacBook Air to replace my broken Samsung netbook. 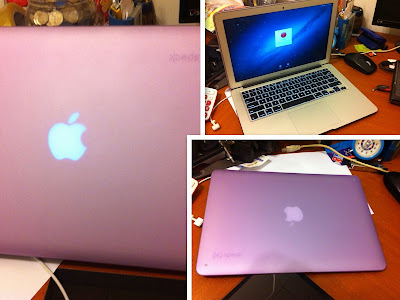 Why we decided to get MacBook instead of another Windows OS laptop? But a word of advice to those who are also salivating to lay their hands on a Macbook - you have to be prepared to fork out more money for something that Windows user don't even have to fret about. Truth is, getting an Apple product comes with hidden cost - some of their peripherals are simply different from Windows products. 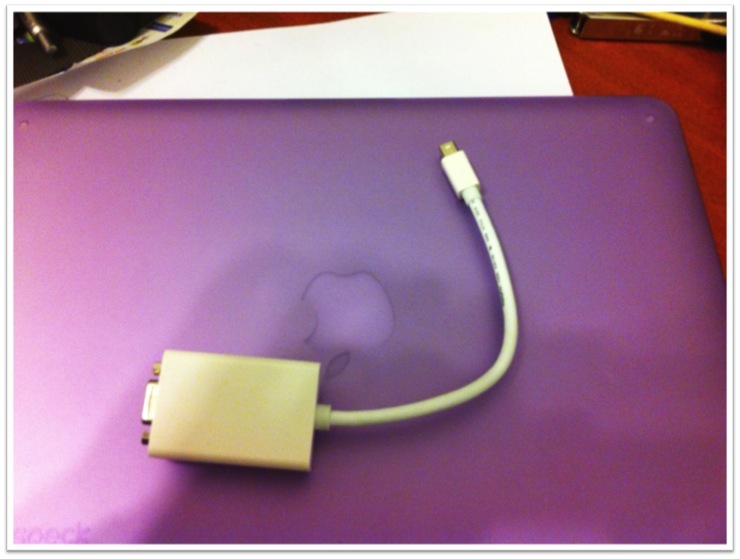 Why, Apple, why??? If you walk into a shop and buy a Windows notebook, you can expect that it comes bundled with MS Office. After all, Microsoft owns Windows and MS Office. BUT when you buy a Mac, you have to buy MS Office separately. At the point of purchasing the notebook the salesman did ask whether we want to buy the original Office for Mac at RM199. Yes, it's cheaper compared to the time I bought original MS Office Home Edition 2008 for Windows lappy 2 years back (close to RM300). BUT after forking out a lot of money on the notebook we just can't afford it. So we didn't buy it. Not long after that, my manager forwarded an email to everyone that our IT partner has gotten a good deal from another vendor which to cut the story short, means we can get original MS Office Professional 2010 including for Mac for only USD19.99 (or below RM100)! So MS Office - checked. A marketing strategy to enrich Apple and its shareholders? Maybe. Yesterday, we were at Bangsar Village and decided to drop by at Epicentre - Mac premium reseller to check out if the new mini iPad is already on display. The best thing about the casing is strangely not because it's purple in colour (I'm a diehard fan of anything purple! ), but because at RM148, I actually got it for nothing! After buying such an expensive notebook with aluminium casing, the last thing you want is your MacBook to end up with scratches after toting it around. So, an external casing is a must. Well, you must think that if it involves so much investment, why do we continue ahead with getting a MacBook Air? You see, I am an iPhone user and I love to take lots of photos of my daughter for memory's sake. When you have a Mac, you don't need cables to transfer your photos to your laptop. In fact, you don't have to do anything to transfer your photos in your phone to a laptop - it's all done automatically via iCloud. Same thing goes to my music collection, etc. There are a various other plus points of having MacBook - read here. It also comes with the world's most advanced OS - Mountain Lion. This is more Suami Terchenta's thang - he wrote a lot about it on his blog. As for me? Like using my iPhone, I love exploring the Apps Store - it's like going for window shopping or shopping for free apps now and then!